BERLIN (Bloomberg) -- A leafy city of 275,000 inhabitants in Frankfurt's commuter belt is opening a new front in the battle against diesel pollution. An administrative court in Wiesbaden, known for a historic hot spring and a giant U.S. military base, ordered the regional government to clean up diesel exhaust fumes by September or face a fine. The ruling last month was the first to enforce emissions limits, putting the state administration into an awkward situation over how to comply and causing alarm in the car industry. With Volkswagen Group's admission that the carmaker cheated on pollution controls in millions of cars fresh in the public mind, the court's ruling signals a frustration that regional authorities are moving too slowly to clean up the air. That's increasing pressure on Germany's automakers -- including BMW Group, Audi and Daimler -- to boost alternatives to the diesel technology, which is still at the heart of their business models. The court's ruling is a sign of the pressures building on government to act following VW's revelations. That, along with the European Union's commitment to reining in greenhouse gases under United Nations climate deal agreed in Paris in December, is spurring policymakers across the U.S. and Europe. The European Commission, the EU's executive arm, last June opened infringement proceedings against Germany as 29 regions -- including its biggest cities Berlin, Hamburg and Munich -- have failed to adhere to limits on Nitrogen Oxide, a byproduct of burning diesel. "None of the cities has any idea how we can fall below the limit values," Olaf Scholz, the mayor of Hamburg, said when he met with car executives recently. The Wiesbaden court gave Hesse, the state where the city is located, two-to-three years to curb NOx emissions. Hesse responded that it may lack an adequate plan, saying the state has "made use of all reasonable instruments" to reach the limits. Hesse is appealing the ruling. Diesel pollution is a widespread issue. NOx emissions exceeded permissible limits at 60 percent of Germany's 374 testing stations in 2015, the Federal Environment Office said last month. The fine particles that come from diesel exhaust along with NOx may cause 10,000 deaths in Germany a year, the European Environment Agency estimates. "Either we find a common solution -- we have perhaps two years -- or a solution will be dictated to us externally," Volkswagen CEO Matthias Mueller said at an event in Hamburg on Feb. 1, where industry executives were invited to discuss a solution to the spreading crisis. The issue is damaging for German carmakers, which dominate sales of diesel cars both in the U.S. and Europe. 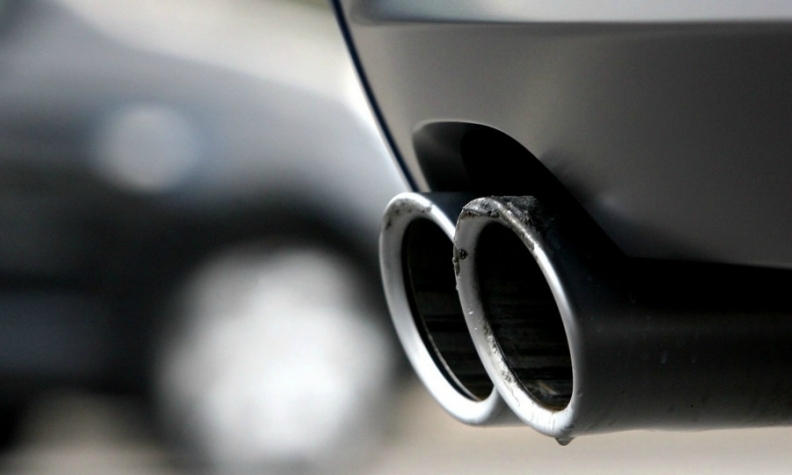 Almost half of the 3 million new cars sold each year in Germany are diesels, according to the VDA industry association. In the U.S., VW, BMW, Audi and Mercedes had 92 percent of the market for new diesel cars, according the International Council on Clean Transportation. Some 74 percent of BMW's sales are diesels, and for Audi the figure is 67 percent. Just a third of Germany's existing diesel cars fleet in 2015 fulfilled the European Union's standard for diesel emissions. Mercedes last week unveiled the first in a series of new diesel car engines, committing 2.6 billion euros ($2.9 billion) to the technology's future. As the European car industry switches to real driving emission tests for vehicles and pushes development of cleaner diesel motors, German courts may preempt the fixes, potentially grounding motorists in outright bans in city limits or making them pay costly tolls. The risks are not lost on executives like VW's Mueller. "For me at least, we shouldn't leave it up to the courts to decide life in our towns and the shape of our future," said Mueller. For Germany's car industry association," short-term driving bans and penalty payments help little and they have an impact on everyone," said Eckehart Rotter, a spokesman for the organization known as VDA. "We must improve air quality in cities in a sustainable way mainly through fleet renewal and by improving traffic flows." Scholz, the Hamburg mayor, expects a wave of litigation across Germany unless inner city NOx levels are slashed. "Everyone including cities, businesses, the car industry, ultimately city residents, will increasingly face legal claims," Scholz said. Diesel cars, trucks and buses may be barred from inner cities "already this or next year," said the Social Democrat. The court decision marks a "fundamental turning point in transport policy, not just in Hesse but nationwide," said Remo Klinger, a law professor representing the Environmental Action Germany, the pressure group that brought the lawsuit against the state. "Other courts will follow -- that's for sure."